Does your move include a piano? Is your son or daughter moving into their own home and taking the piano with them? Maybe you’ve inherited a piano or will be selling one. Do you need a piano moved into another room so you can redecorate, placed in storage temporarily or moved to another state? We handle all of the above! If you’re only moving one item, it’s tempting to think you can just do it yourself or borrow someone’s truck. You may assume it would be too expensive to hire a professional piano mover for such a seemingly small job. Some moving companies rarely move pianos but may try to convince you it’s just another job. In reality, it’s a specialized task best entrusted to your local piano moving experts, Affordable Moving and Storage. We combine extensive experience with affordable pricing. Affordable Moving and Storage are the recommended professional piano movers for many piano stores, tuners and refinishers in New Jersey and the surrounding areas. We’ve handled upright, baby grand, grand and player pianos. Prevent personal injury. Pianos are both heavy and delicate, weighing a minimum 450 lbs. to over 1,000 lbs. Handling them requires both strength and care. Avoid damaging your old or new home. Improper handling can damage floors, walls, steps and entrance ways, resulting in much greater costs than hiring an experienced mover. Protect the piano with the right equipment. Moving a piano requires special wrapping, dollies, skid boards and ramps. In addition, our moving trucks contain the correct tie-down system necessary for transporting a piano safely. Save time. An inexperienced mover may struggle to handle the piano, especially on stairwells or narrow hallways. At Affordable Moving and Storage, we're able to complete a piano move with ease. We also have extensive knowledge of the roads, building requirements and loading zones in your area which prevent delays. This frees up time for us to undertake other moves and pass the savings on to you. Save money. Since we’re based in your neighborhood, we don’t charge extra for the time and gas spent travelling to you. We also have lower minimums than other companies. As your local piano moving company, we rely on word of mouth and referrals. 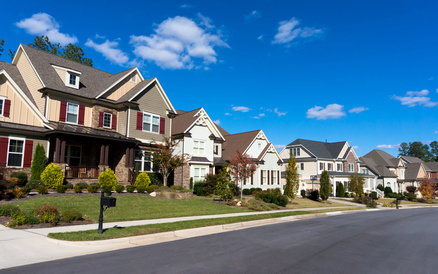 Our excellent service at an affordable price has earned us a great reputation in our home state of New Jersey and beyond. You’ll always hit the right note with Affordable Moving and Storage. We don’t just move pianos. 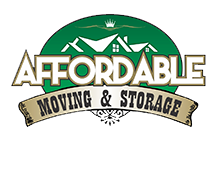 Affordable Moving and Storage can handle any local small moves quickly and economically including apartment moving, shifting furniture for reflooring or home staging, moving medical equipment or relocating a copier. It’s now affordable and convenient to hire a professional moving company for all those tasks you thought you’d have to undertake yourself or ask friends to do as favors.